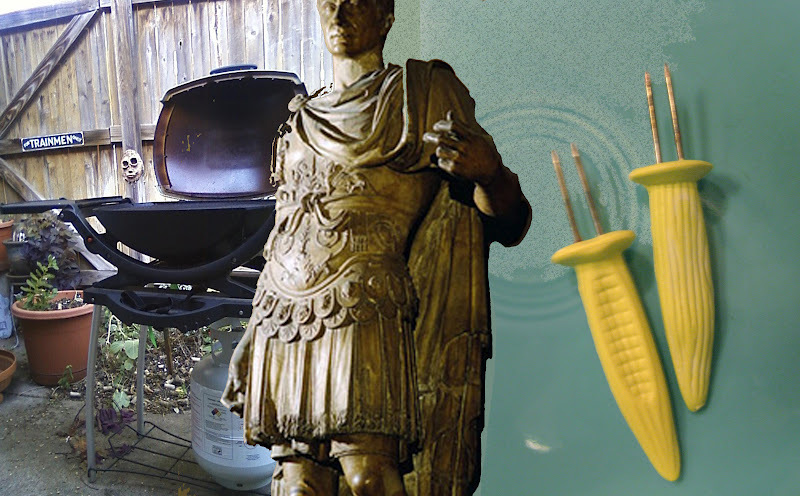 In the summer Julius Caesar used to fire up his Weber gas grill and remark to his third wife, Calpurnia, who was above suspicion and had a secret marinade recipe, "All Gaul is divided by corn pokies." 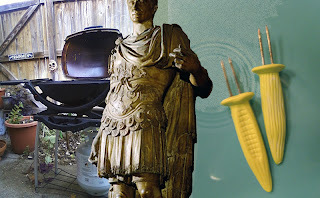 Gaul, it seemed, was divided into folks who had the good sense and manners to eat corn-on-the-cob using corn pokies, and into the rest of the folks sans corn pokies known as "barbarians". Although the ancient Greeks may have first had an idiom πας μη Ελλην βαρβαρος meaning "whoever is not Greek is a Barbarian", by Caesar's time the idiom had evolved. At a recent family gathering my sister was astounded that my part of the clan still used corn pokies. I was equally astounded that her part of the clan did not. Ew. Greasy fingers! Each group felt the other was undignified. We agreed to let each person follow their preferred practice. 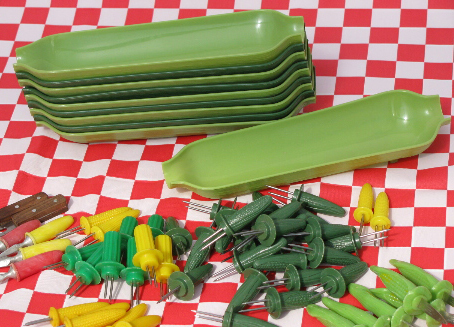 Fortunately, my sister still had some corn pokies way back in a kitchen drawer. Maybe she will come around to the Right Way yet. So our family dinner did not turn into a Gore Vidal/William F. Buckley debate. We did ponder just what the real names are for those little ear attachments. We reminisced about the fun of twirling corn-on-the-cob in those little plastic husks for perfect butter coating. Caesar's second wife, Pompeia, was the one he divorced. Caesar's wife must be above suspicion. I call them "those little yellow things" and if the kids are using them I call them "those little yellow...watch out! Those are sharp." I actually prefer to eat my corn with my (not sharp) fingers. Just call me Barb. I just remembered we also used to note the similarity between corn pokies and tb tests when we were kids, but we did not try that on each other!